Established in 1972, Sandlight Appliance Repair is a family-owned company providing residential appliance repairs for both gas and electric models for over 40 years. If your washing machine is leaking or your oven won’t turn on, our team of experts has the tools to provide you with precise, effective repairs. You won’t be stuck in a household that doesn’t run efficiently when you trust us to handle your home appliance repair services. Proudly providing expert appliance repairs to East Meadow and surrounding areas, Sandlight Appliance Repair offers high-quality appliance repair services to customers throughout the region. Our appliances repairs are available to customers in Hempstead, Levittown, Mineola, Hicksville, Garden City, Freeport, Syosset, Port Washington, Bethpage, and beyond. Sandlight Appliance Repair is insured and bonded as well as licensed by the New York City Department of Consumer Affairs. We specialize in appliance repairs for high-end brands, such as Viking and Thermador. 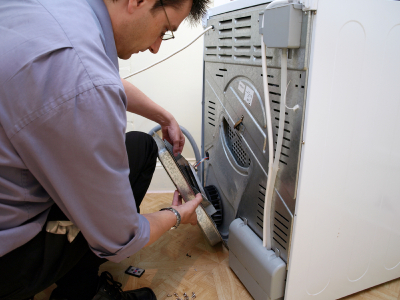 Sandlight Appliance Repair is the name that you can trust for precise repairs that will last. When you hire us to handle your dryer repair, refrigerator repair, or other home appliance repairs, you can rest easy knowing that our experienced team will devote ample time and attention to making sure that your repairs are done right. With every appliance repair, we offer a one-year parts and labor warranty that will give you peace of mind that our solutions to your appliances' problems can stand the test of time. Call or e-mail us today to learn more about your options for dryer repair, refrigerator repair, and more!